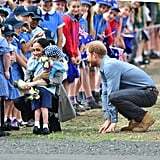 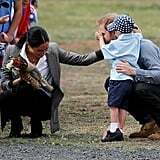 Prince Harry and Meghan Markle made an adorable new friend during their tour stop in Dubbo, Australia, on Oct. 16. 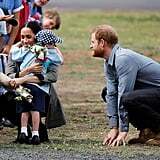 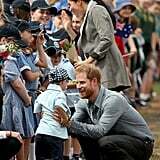 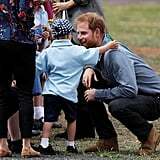 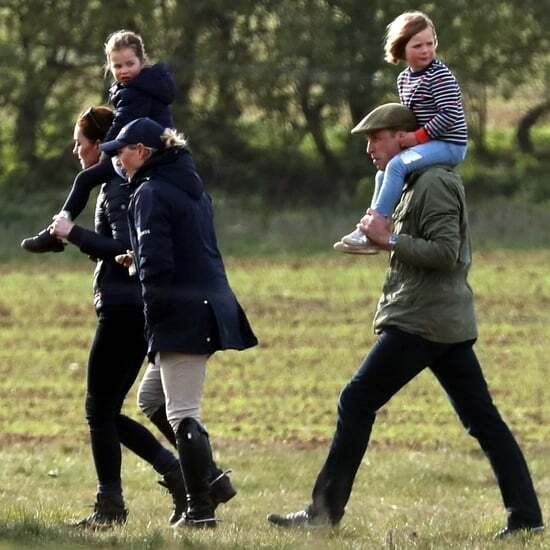 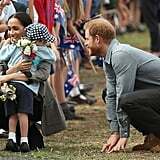 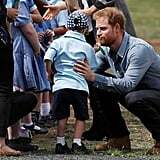 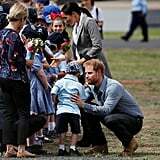 Straight off the plane, the royal parents-to-be were greeted by a group of schoolchildren, and one little boy in particular took a liking to Harry. 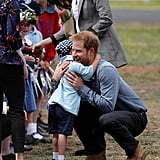 Luke, a 5-year-old Dubbo student, wholeheartedly embraced Harry upon meeting him and then began to tug at his beard and rub his face. 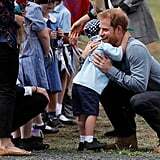 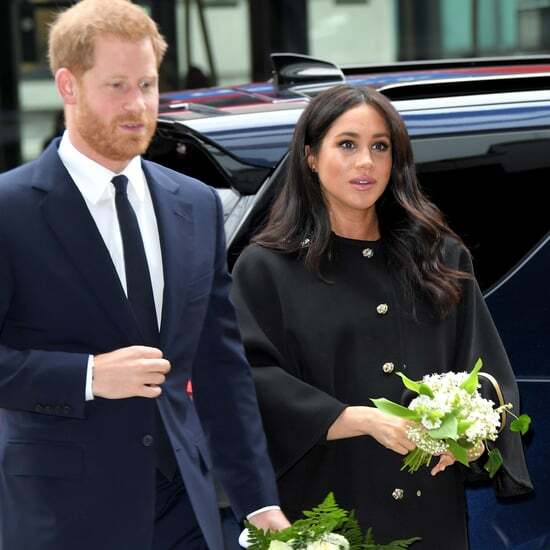 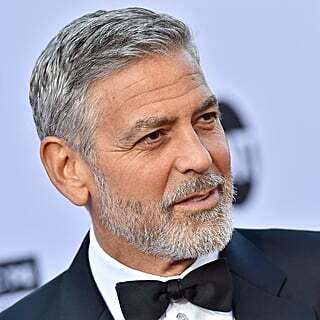 Meghan quickly followed after her husband, receiving a hug from Luke, who then returned to plant a kiss on Harry's cheek. 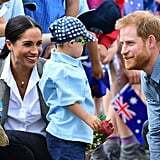 The royal couple couldn't stop giggling during their interaction with the energetic young boy — by the looks of it, they're going to be the sweetest parents. 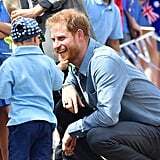 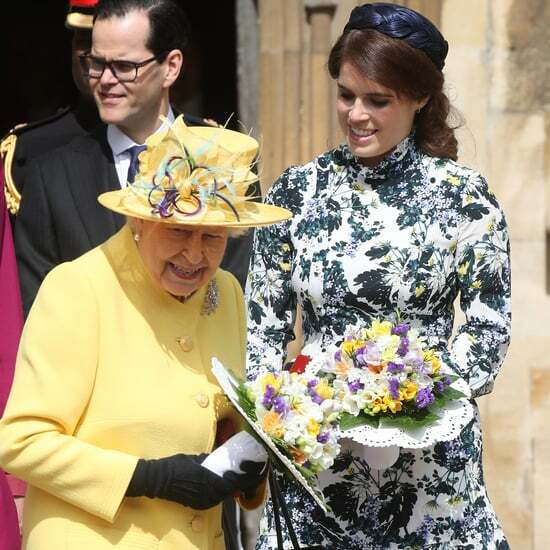 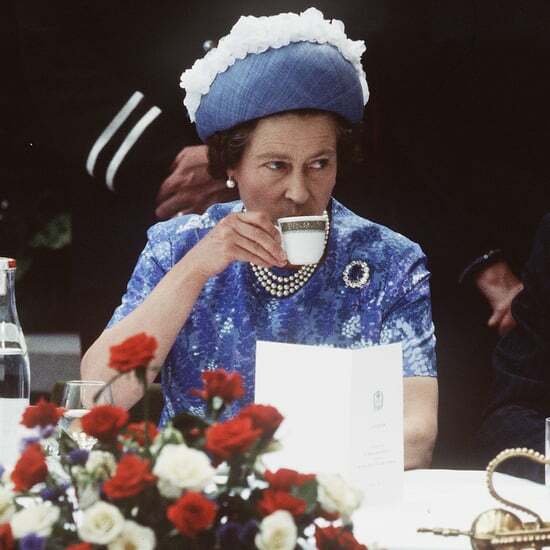 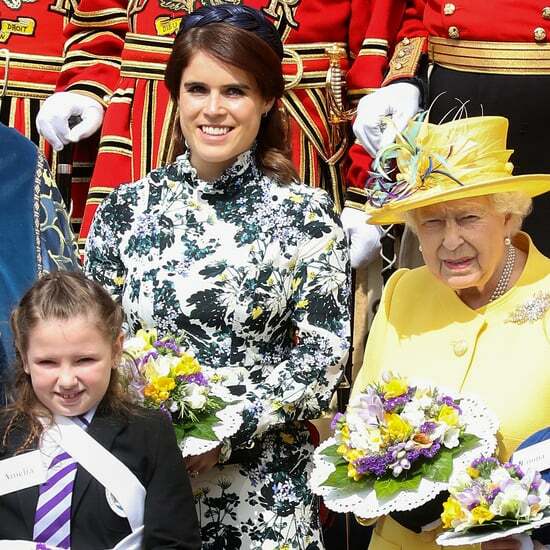 Above, watch Luke's heartwarming (and cheeky) gestures toward Meghan and Harry, then keep reading to see more snaps of their tender moment.